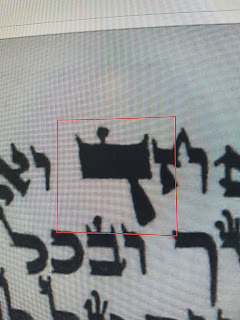 The left part is a not attached but possibly still a shinuy to a small ches? I wanted to post something about two sifrey torah that were stolen from a community in the UK so that people could a) keep an eye out and b) advise how one might go about tracking these down. But there doesn't seem to be an option to post anymore on the page that I could see. I know you periodically clear down infrequent posters. I don't know if the robbers knew exactly what they were stealing as I understand they were being stored temporarily in a locked gun cabinet attached to the wall and they may have thought there were guns inside. They removed the whole cabinet. Any advice I can pass to the community and to the police from you or others who have encountered this about what they should do would be helpful. I'm trying to get some photos of the sifrey. I am a huge fan of your blog. 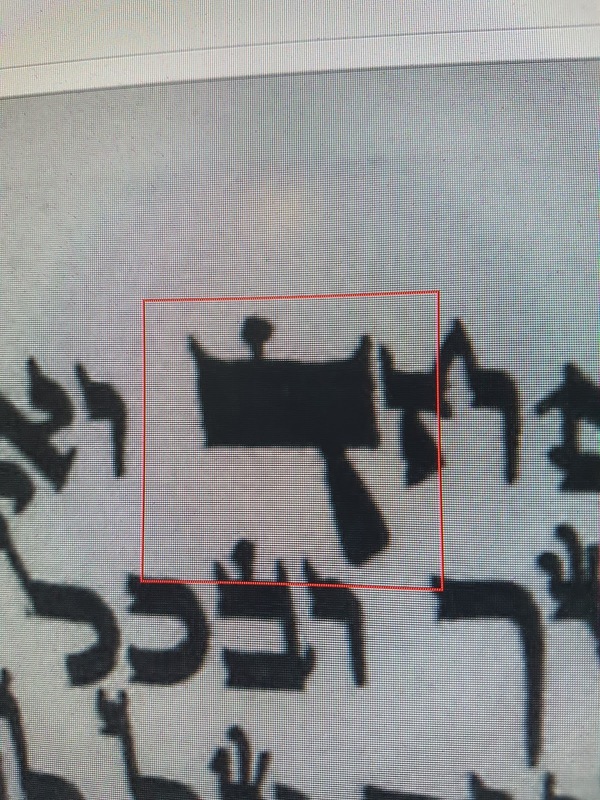 I am trying to locate mareh mekomos regarding putting atari chaim (1, 2, or none) on a megillah rus. Any thoughts? Are we choshesh for shinoy tzurah to hey in the following two cases? Shailos tinok? Wishing everyone a Kosher and Freilichen Pesach! 1. 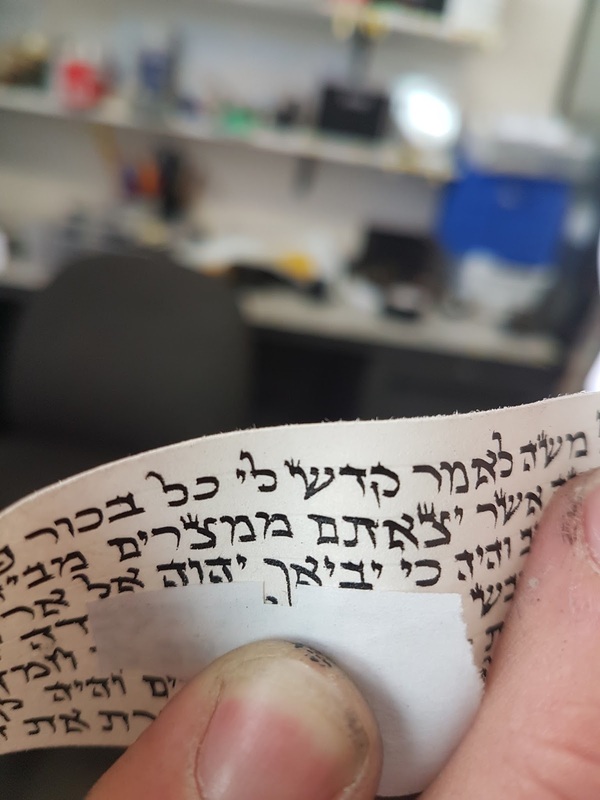 After a shaylas tinok that will read it yud, the extra part may be scraped away. 4. Definitly a problem, that must be clarified through a shaylas tinok, with the covering shown in the pictures. 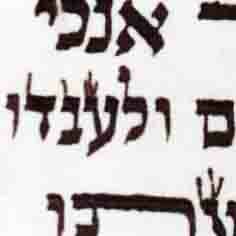 Only if a tinok reads correct, are these letters kosher. 5. 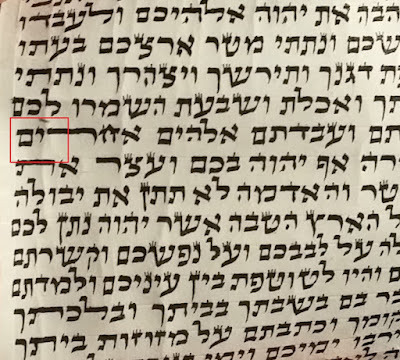 I agree that the tzadik is not written lechatchila, because it is stretched, but is kosher after the fact. 3. One etz chayim at the end. I'm pleased to report that the Sifrey were found abandoned in a field with the cabinet. The silverware was stolen but the sifrey are in fairly good condition wih only minor damage. 1) If the left part is not atttached how could it be regarded a ches, in a mezuzah that I found a dot in the bottom eft field of a yud, I refered to Rav Moshe Blau who sid in the name of Rav Friedlander that a yud will never take on the form of a hey, but a ches is mentioned in Kol Sofrim. 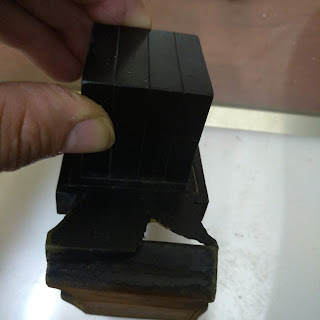 With regard to a connected piece of that length, Rav Friedlander was Mekel with attention to 3 parameters: 1)length, 2)thickness, 3)angle, where if they are satisfactorily in the advantage of the right side, it is okay.